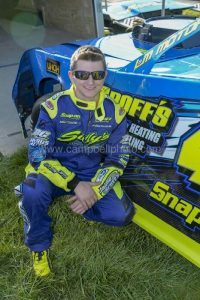 4WIDE/Daniel Sanchez Racing – While Lebanon Valley Speedway may be his home track, West Sand Lake NY’s Daniel Sanchez is adapting well to his home away from home in Ohio. 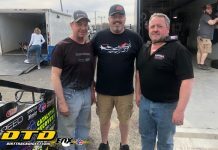 The UNOH student checks in to discuss winning the last two weeks at Limaland Motorpsorts Park in the Budweiser Thunderstock Class. 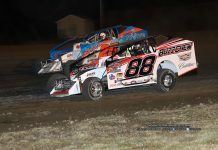 “Two weeks ago at Limaland we had both cars out. 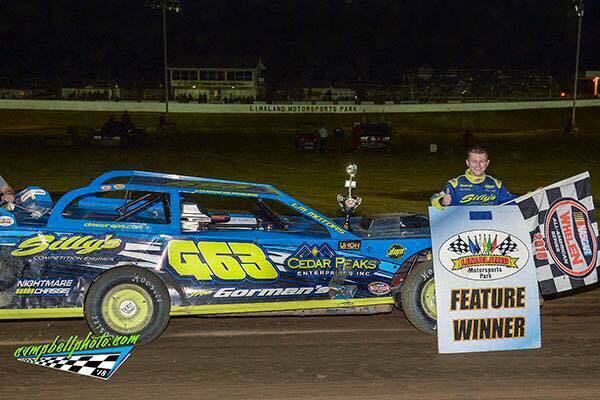 Jordan Conover drove the Nightmare Chassis 463X and set fast time. 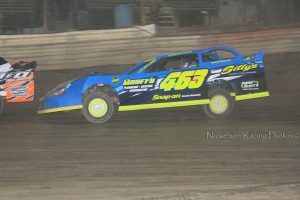 I was driving the Silly’s Competition Engine’s 463, The car we call Big Blue. Jordan was fastest in his hot lap group. In my Group I was 2nd quick. Jordan broke in the heat ending his night. For my heat I started outsi de front row battling for second with #26 Justin Long, the defending Limaland Bud Thunder Stock Track Champion, trading position lap after lap. My car was a little on the tight side allowing Long to get away. I finished 3rd in the heat as Justin Long would win the heat after he passed #27 Frank Paladino. The invert which is decided based on a card a fan picks either a 2, 4 or 6 on this Friday night was a 6. That started us on the pole for the feature. The crew worked extremely hard and efficient all night and made the right changes. wn the back stretch the yellow flag would wave. When the race resumed it was a white and then we had a checkered one lap shootout. 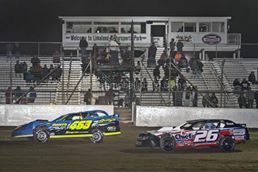 Justin Long and the #22T of Tony Anderson were right behind me coming out of turn 4 long dropped down low but I was able to hang on for the Win. d come back out with 6 laps to go. On the restart I resumed the lead and with a few green white checkered attempts I finally crossed the line winning the race. Silly’s Competition Engines, The Gorman’s, Nightmare Chassis, Cedar Peaks Enterprises, Groff’s Plumbing and Heating, Snap- On Tools Scott Hamlin, Jamie Scott’s Auto and Tire Center, GSB Roofing, N&L Auto Body, DMS Designs, L&M Motors, Nassauto Sales and Service, Danny Sanchez Contracting, Buffomatic Transmissions, 4WIDE, DMC Racing Products, Kneers’s Auto, Herb’s Auto, UNOH American Marketing Association, and Lucky’s Taproom and Eatery.